With this Father's Day tin packed with everything from Y-fronts to socks your sure to make your Dad smile. 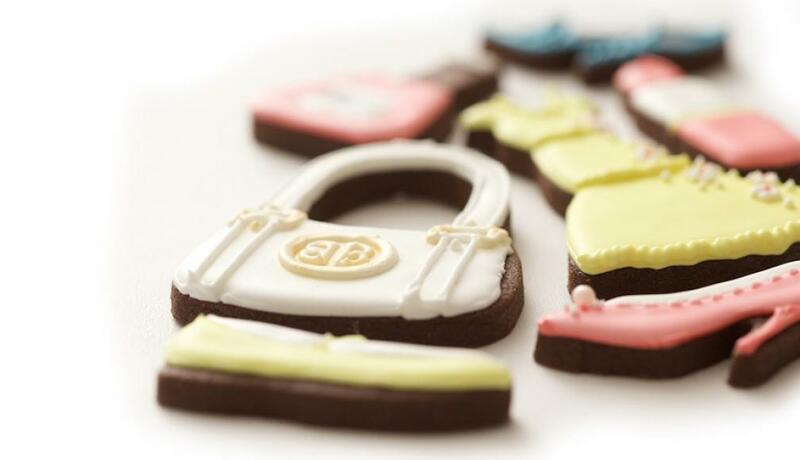 Hand iced on our super chocolatey biscuits they taste delicious and look fab too! 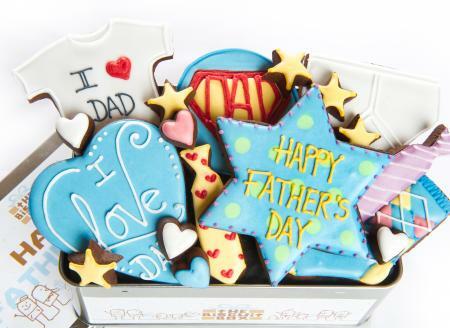 This tin contains approximately 20 biscuits displayed over three layers and presented in our Happy Father's Day Tin. 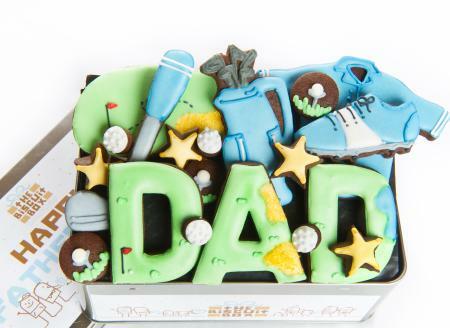 Make your Dad smile this Father's Day with this Golfing tin. 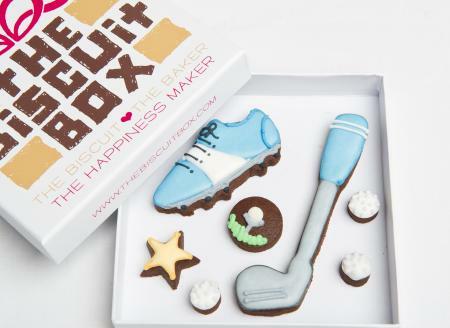 Packed with hand iced super chocolatey biscuits it's sure to be a hole in one this year! 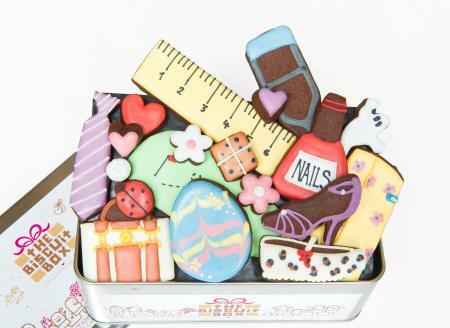 This tin contains approximately 23 hand iced biscuits of various shapes and sizes, all displayed over three layers and presented in our Happy Father's Day Tin. 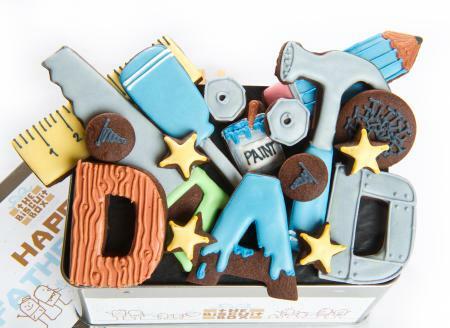 If your Dad is a keen D.I.Y.er then this is the tin for him! 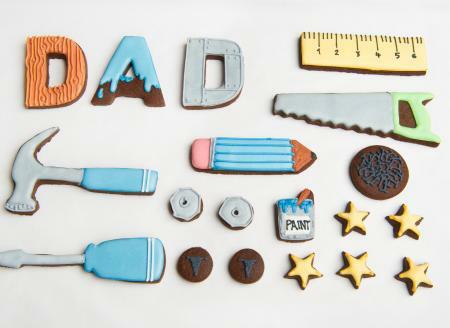 Packed with all the tools he will need on Fathers Day, D.I.Y. never tasted so good! 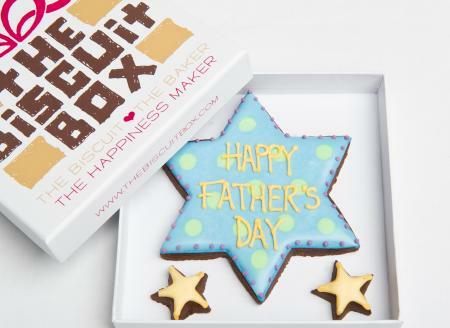 This tin contains approximately 19 hand iced biscuits displayed over three layers and presented in our Happy Father's Day Tin. 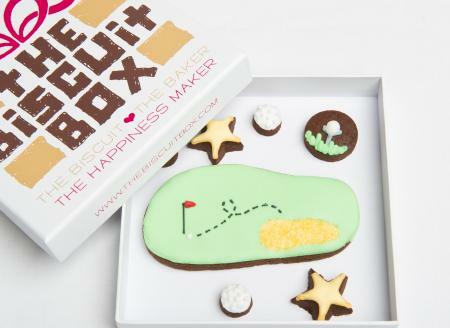 Tee Off with this Biscuit card and you will not be disappointed, iced onto our super chocolatey biscuits they look too good to eat! This biscuit card contains approximately 7 biscuits displayed over one layer and presented in our branded biscuit card box. 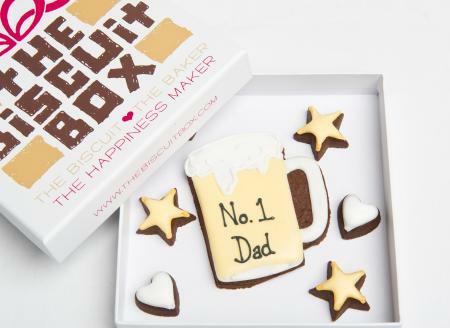 Raise a toast to your Dad this Father's Day with this biscuit card. 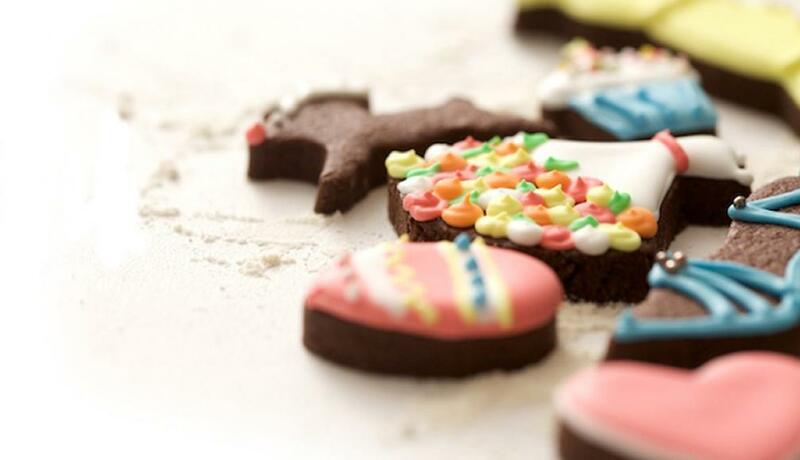 Let him know he's your number 1 with this yummy gift. 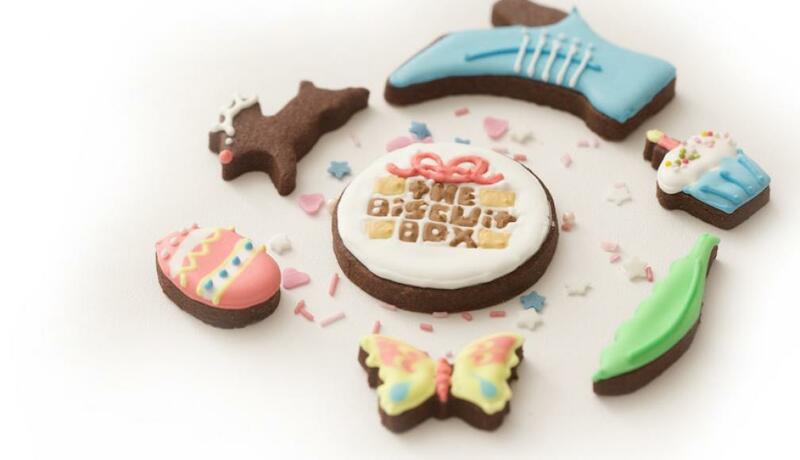 This biscuit card contains approximately 6 biscuits of various shapes and sizes, all displayed over one layer and presented in our biscuit card box. 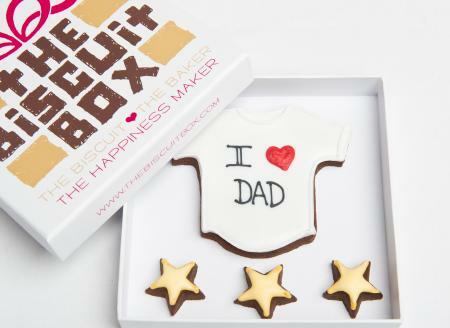 Show your Dad how much you love him with this I Heart Dad biscuit T-shirt. A great way to make him smile this Father's Day. This biscuit card contains approximately 4 biscuits of various shapes and sizes all presented over one layer and displayed in our branded biscuit card box. 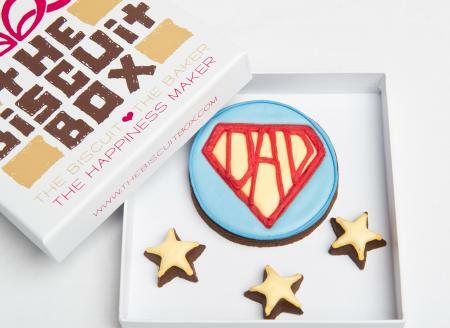 If you think your Dad is simply super then this is the biscuit card for him! 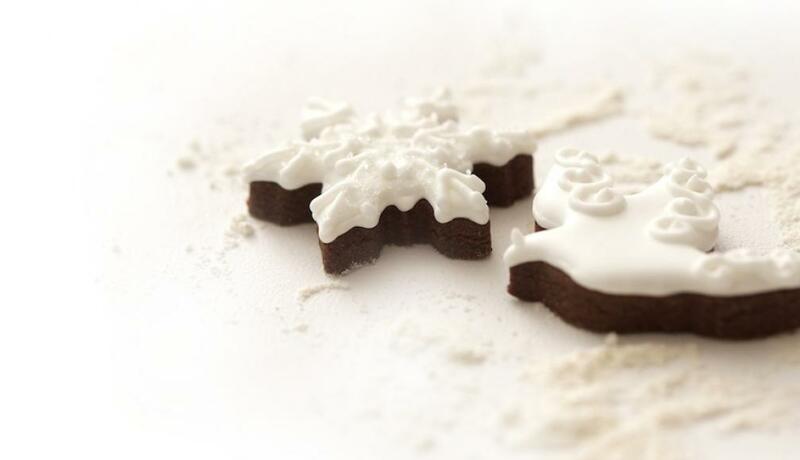 Hand iced on our chocolatey biscuits it will taste super too! 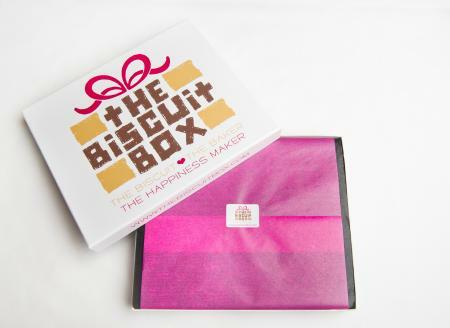 This biscuit card contains approximately 4 biscuits of various shapes and sizes, displayed over 1 layer and presented in our biscuit card box. 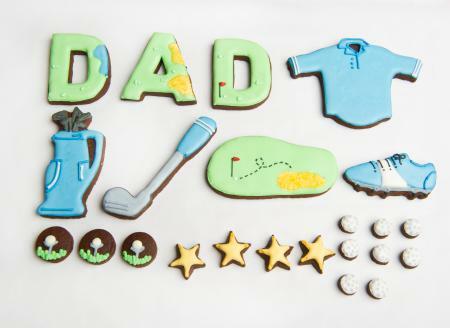 A great way to hammer it home how much you love your Dad! 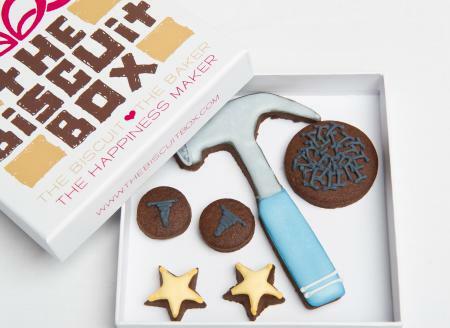 This hammer biscuit card is hand iced onto our yummy chocolatey biscuits and makes a great Father's Day gift. 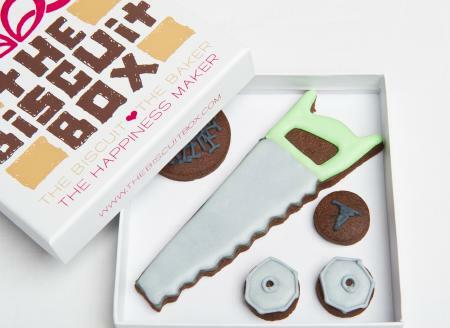 A great gift for the keen D.I.Yer, this screwdriver might not be any help around the house but it sure taste good with a cup of tea once your jobs are done! This biscuit card contains approximately 5 biscuits of various shapes and sizes all displayed over one layer in our branded biscuit card box. 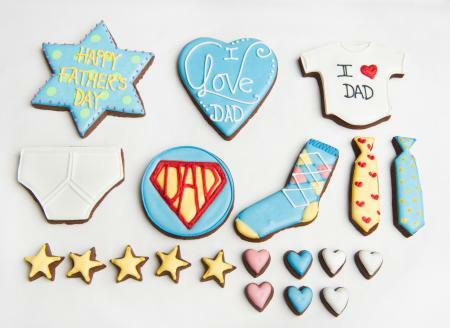 Wish your Dad a Happy Father's Day with this yummy biscuit card. 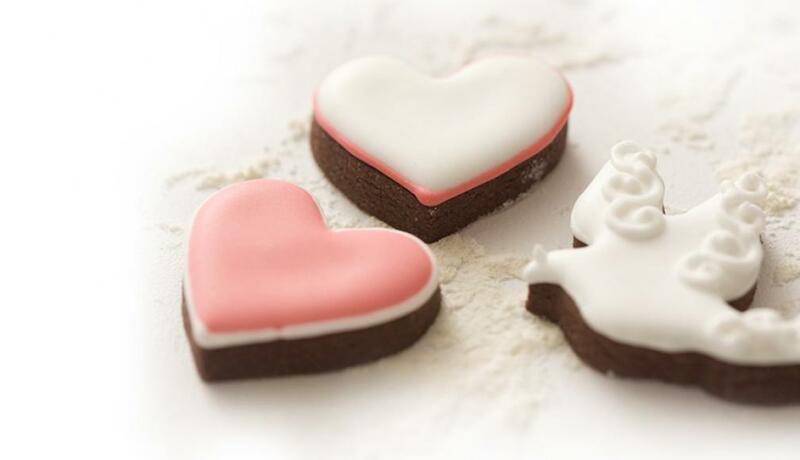 Hand iced on our super chocolatey biscuits it's the delicious way to show him you care. 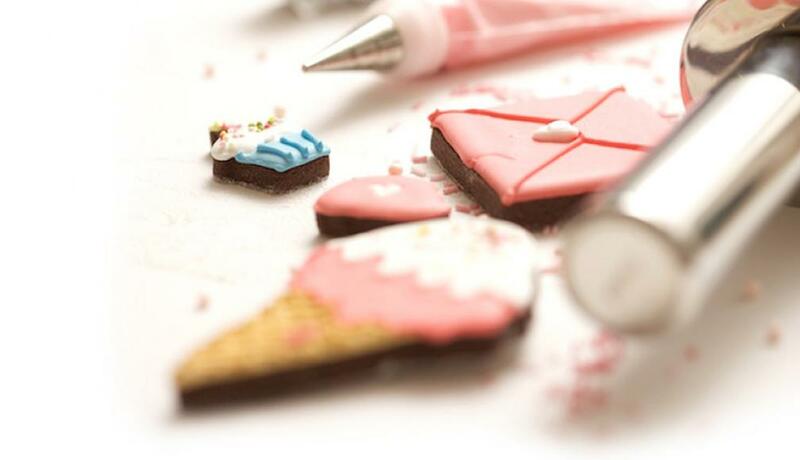 This biscuit card contains approximately 3 biscuits of various shapes and sizes displayed over one layer and presented in our branded biscuit card box. 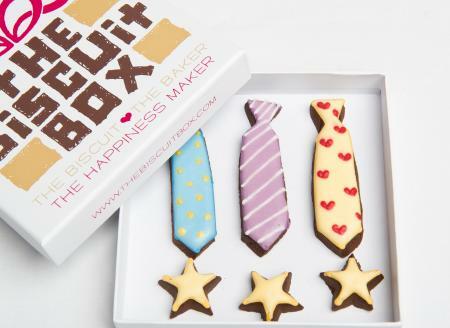 This Tie Biscuit Card is great for any occasion, for the man that has everything..........except a biscuit tie! 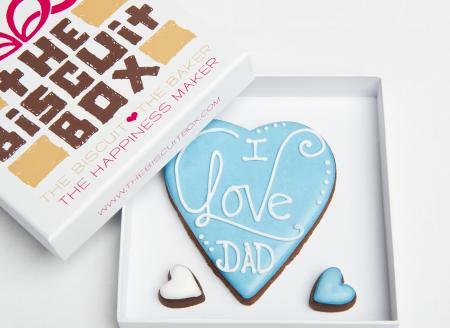 Show your Dad how much you love him with this yummy heart shaped biscuit. 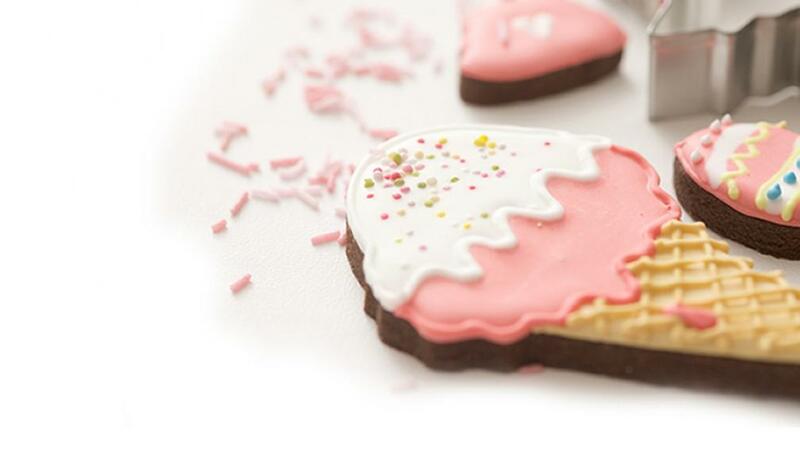 This biscuit card contains approximately 3 biscuits of various shapes and sizes arranged over one layer and presented in our branded biscuit card box.